After the success of their summer residency at Space Ibiza over the last few months, Glitterbox now distils its disco, soul and house soundtrack into an expansive three CD release. 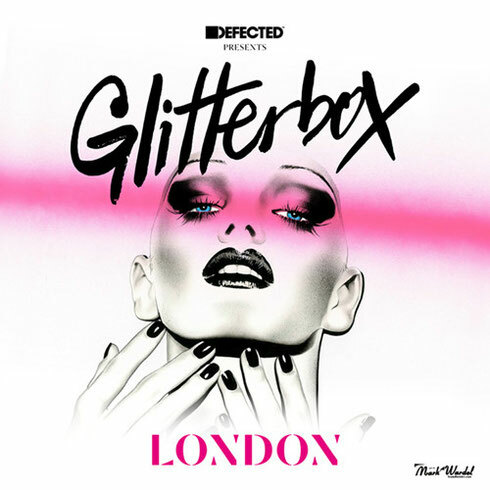 ‘Defected Presents Glitterbox London’ is a new mix album and joins the dots between classic and contemporary dance music rooted in soul and disco, celebrating the rich and diverse dance music history of the UK’s capital. Mixed by Defected’s founder Simon Dunmore and featuring possibly some the most inspiring artists from the last 40 years of dance music, including Gwen Guthrie, First Choice, Patrice Rushen, Donald Byrd, Blondie, Breakbot, Moloko and Purple Disco Machine, the compilation is packed full of both unashamed anthems and hidden gems. Glitterbox’s sound has always been fun, accessible and hedonistic, with a real focus on quality house and disco, backed by imaginative theming across everything from Mark Wardel’s promotional artwork to the dance moves of the Savage dance crews Nutbags, Hot Heels and Sink The Pink. In July, Glitterbox launched its debut London show, welcoming a selection of DJs who transformed Ministry of Sound into a hemisphere of house and disco for the night. Glitterbox makes its return to Ministry of Sound on Saturday 12 December. “I believe the fact that Glitterbox has been reviewed so enthusiastically is down to the fact that the DJs curating the nights have real skills,” says Simon. “They read the crowd and work to real moments in their sets. It is an art that is sadly declining, but it is clear from the reaction this summer how crucial understanding a room and your crowd is to achieving a great night. It’s out 27 November on Defected Records.